On Aug. 4, the SKA emailed its latest survey to members. 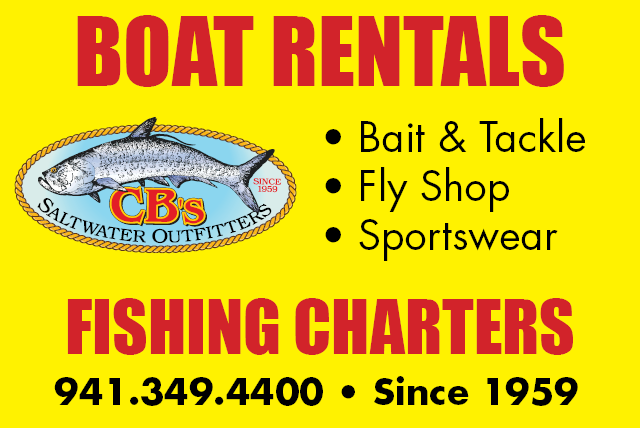 This one is in response to a July 11 County Commission discussion regarding the potential for charging people to park at Siesta Public Beach. Commissioners indicated a keen interest in using the resulting revenue to boost mass transit options that would decrease traffic on the Key. 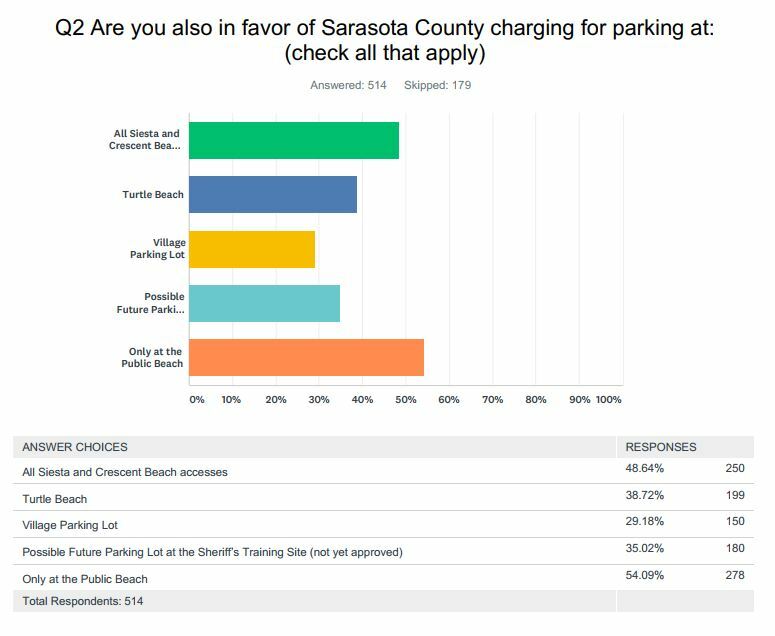 The survey also asked members how they feel about the possibility of the county’s charging for parking at Turtle Beach, in the public parking lot in the Village, at a proposed new parking lot/Siesta Key Breeze stop on South Midnight Pass Road and at all the county’s beach accesses. Further, it inquired about members’ views on whether county property owners and/or those people whose primary legal residences are in the county should pay to park. This survey is the third the SKA has undertaken thus far this year. The first was on the open-air trolley — the Breeze — that the county operates for free. The second encompassed questions about a series of hot topics on the Key — from the potential for a new hotel to members’ views on the proposed Siesta Promenade mixed-use development at the intersection of Stickney Point Road and U.S. 41. The final results of the paid parking closed on September 6 with the results being forwarded on to Carolyn Brown at Sarasota County. Below are the results. Note the responses are not individuals but SKA member households. SKA has 1,405 active members/households. The number of responses were 693 households.